The sale of the Los Angeles Times to Dr. Patrick Soon-Shiong will be complete on Monday, when the biotech billionaire takes control of a suite of Southern California media outlets that also includes the San Diego Union-Tribune, the L.A. Times reported Saturday. When Soon-Shiong assumes control of the L.A. Times, it will return the paper to local ownership for the first time since 2000, when it was sold to Chicago-based Tribune Publishing, now called Tronc. Soon-Shiong reached a deal with Tronc to buy the L.A. Times, Union-Tribune and other publications for $500 million in February, though final negotiations continued into summer. Tronc stocks took a beating in May after the company admitted in an after-hours earnings call that both the $500 million deal and a smaller plan to unload the stock of ex-chairman Michael Ferro to McCormick Media had yet to be completed. Soon-Shiong will take over just weeks before the paper is relocated from the iconic downtown L.A. art deco building it has called home since 1935, to a building in El Segundo, just south of LAX. The paper lost ownership of the building after the sale to Tribune in 2000. 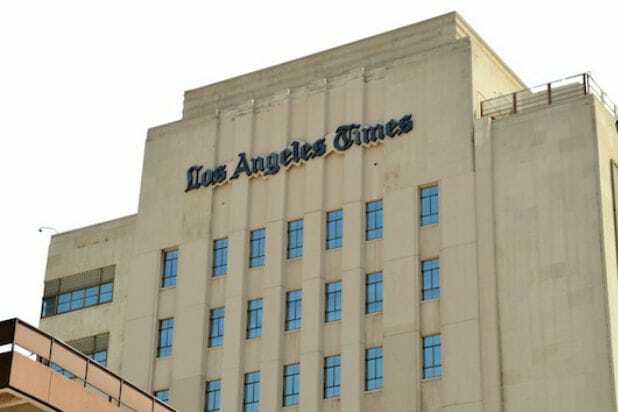 Tribune sold the building out from under the L.A. Times in 2016, and after the deal with Soon-Shiong in 2018, the new owner of the building opted to increase rent by $1 million a month, the Times reported in April. Soon-Shiong has said he intends to invest the savings from moving to the new location in hiring more journalists, improving newsroom technology and creating an eight-floor, modern building with free parking and other amenities. It has been a tumultuous 2018 for Los Angeles Times staffers. In January, the paper ousted editor-in-chief Lewis D’Vorkin after two months, and replaced him with Jim Kirk, the former interim editor.